Anna receives the call of the Pope, who encourages her to give birth to the baby in her womb. And he promises: "If it is necessary, I will baptize it". After losing her job, she decided to move. Here she discovers she is pregnant. The father of that baby, in fact, does not want to know: he is already married and has a child. Anna feels pressure to abort the child. Then, an intuition: she decided to write a letter to a special person. She put on the envelope the address simply as: «Holy Father Pope Francis, Vatican City, Rome».Then, a few days later the phone started ringing. On the display an unknown number, with the prefix of Rome. She hears: "Hello Anna, I'm Pope Francis. I read your letter. We Christians must not make us take away hope, a child is a gift from God, a sign of Providence ". "His words filled my heart with joy - it is Anna's story. He told me that I had been very brave and strong for my child. " 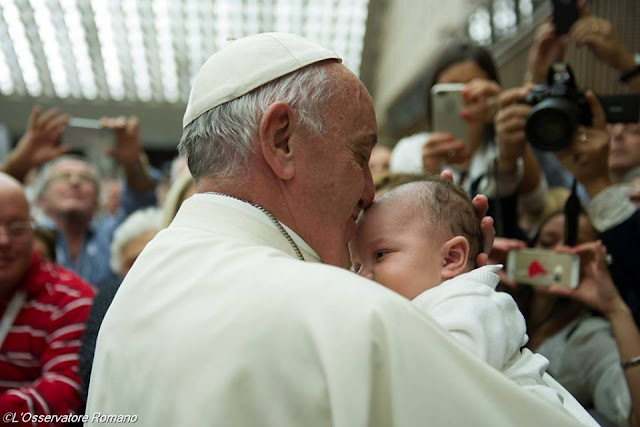 In those long minutes on the phone with Pope Francis, Anna explains to the Pontiff that he would like to have that incoming child baptized, but that she is afraid it is not possible because she is divorced. The Pope replies to her with the simply: "I am convinced that you will not have problems finding a spiritual father and then - he added - if not, know that there is always me".